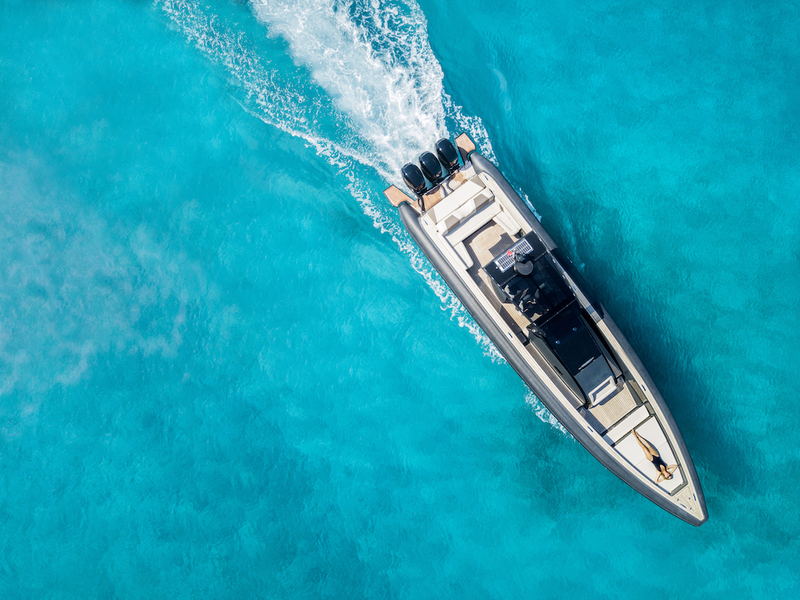 Omega 45 is the name of the new Technohull flagship, a performance luxury mega RIB that combines the concepts of versatility, performance, high quality details and finishes all in a single model. 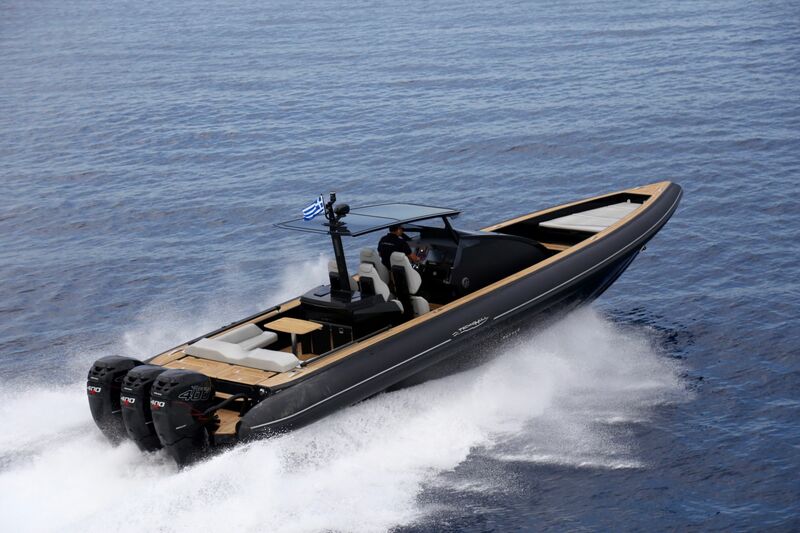 The values above have been part of the Greek shipyard’s DNA since it was established in 2005. 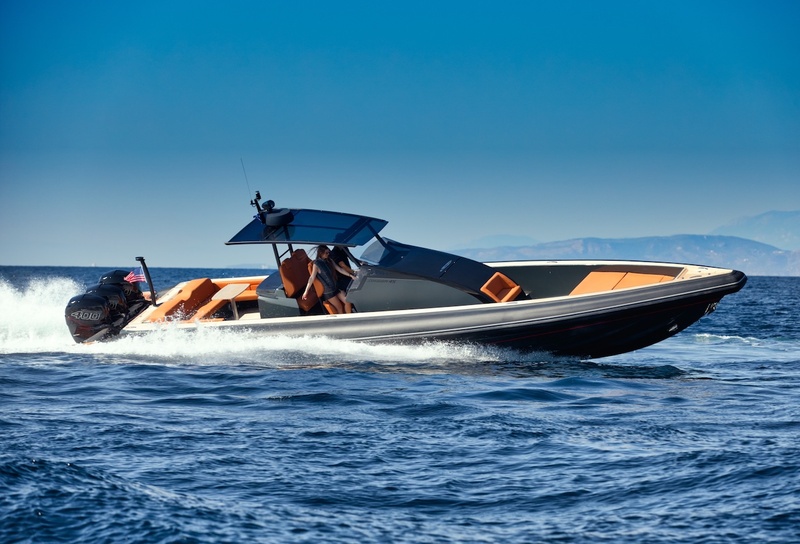 They are facts that ensured the production of models so versatile and safe that they can be used either for comfortable and elegant long-range cruises or as luxury tenders for super-yachts, thanks to the RIB’s smart and customisable design and lay-out. Performance and high efficiency make any Technohull the ideal RIB for people who want to take the weekend off and not worry about the distance to cover, mainly because these boats can take on the most difficult weather and sea conditions in complete safety and comfort, even with a large crew. Omega 45 is a clear example of the all-new Technohull DynaStream patented hull technology, fully implemented by the shipyard. 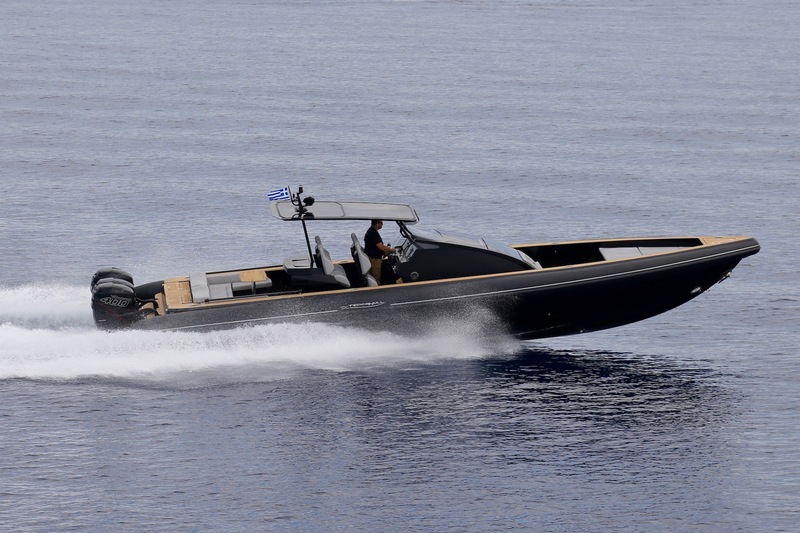 By evaluating the working envelope of each model and the demands of the range, the Greek shipyard has derived separate hull design constraints. Using state-of-the-art computer programmes and hull structure algorithms, key hull design aspects have been confirmed. After several design loops, the hydrodynamic profile is streamlined. As a result, strake geometry, step number, step positioning and the variable dead-rise distribution along the hull’s surface have been optimised. 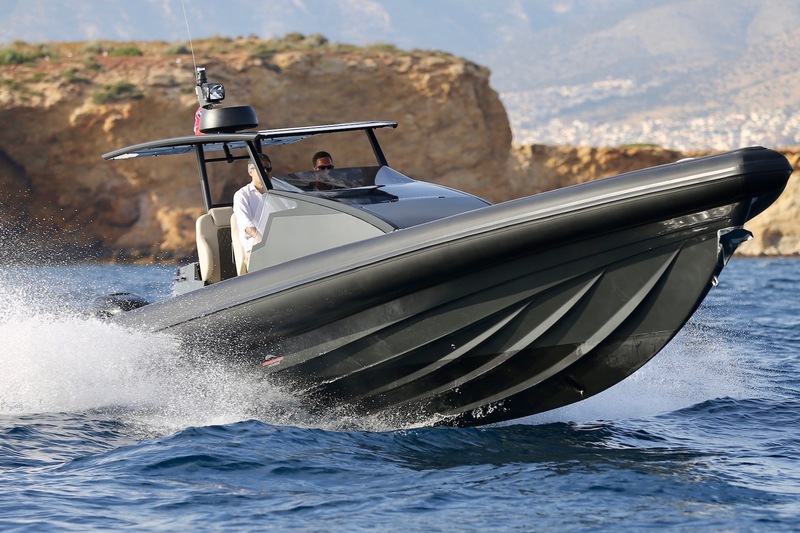 The hinge-point of the Technohull Omega 45 design is the modern centre console, sheltered by a T-top that protects the four wrap-around shockproof seats. The cockpit features a state-of-the-art electronic console supported by touchscreen smart central control. The design of the Omega 45 console allowed the shipyard’s team to create spacious interiors that include an enclosed bathroom – an aesthetic choice that will satisfy the most performance-oriented owners and their partners as well.